Google has just announced the Pixel 3, its new Android-powered smartphone, in a bid to compete with Apple's recent iPhone Xs. The Pixel 3 boasts an incredible camera, intelligent machine learning to cut down on busywork, and an even more useful Google assistant. It's clear that Google is trying its hardest to one-up Apple. But how does the Pixel 3 actually compare to its predecessor, the Pixel 2? 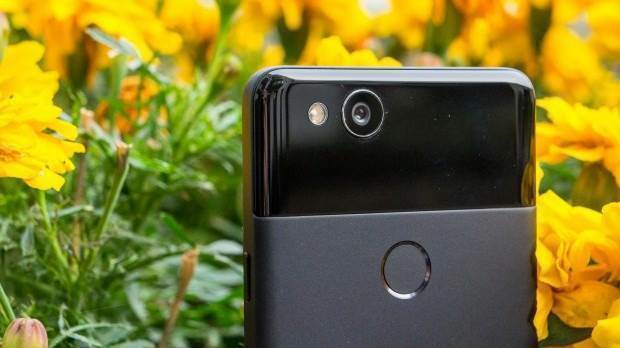 To help you decide if you want to upgrade to the newest Pixel model, buy last year's model cheaply or simply stick with what you're already using, we've made this helpful guide analysing all the new features and improvements that come with Google's Pixel 3. A Pixel 3, will cost you $1199 for a 64GB device, or $1349 for the 128GB model. This isn't a lot compared to other flagship devices, but it's certainly more expensive than older phones on the market. Compared to that, the Pixel 2 cost $1079 upon release last year. The Pixel 3 isn't exactly a major reinvention of the Pixel design or display — it's half an inch bigger at 5.5-inches thanks to thinner bezels, a tweaked aspect ratio and curved-edged screens. The Pixel 3's Flexible OLED screen is also slightly better with a 2160 x 1080-pixel resolution but you'd be hard pressed to tell the difference between the devices without actually holding both at the same time. The Pixel 2 was a slender device with a thickness of 7.8mm compared to the Pixel 3's 7.9mm waist, which admittedly cost it its headphone jack and any potential of expandable storage. The screen came with a 5-inch display, 1080 x 1920 resolution and AMOLED technology, making for a beautiful display – although the Pixel 3 does trump it slightly in that regard now. In all, the slightly larger display size on the Pixel 3 isn't really enough alone to warrant an upgrade. When we tested the Pixel 2's battery life in our review, we found it lasted just over 14 hours. This is, generally, longer than anyone will ever need, although it was noticeably shorter than the lifespan of the original Pixel. As we reviewed it with Android Oreo, it's hard to do a direct comparison thanks to Android 9 Pie's smart battery saving techniques, but either way, we know it'll last 14 hours in our benchmarks. According to Google, the Pixel 3 will last 11 hours, which is a rather surprising step down. Although it boasts wireless quick-charging (if you buy a separate Pixel Stand or use any Qi charger), 11 hours may not last a while working day, and that's benched using Android 9 Pie's benefits as the Pixel 3 comes with Pie straight out the box. We'll still need to run our own benchmarks on the Pixel 3 to be sure of just how long it'll last in a working day. If battery life is tantamount for you, it might be smart to stick to the Pixel 2 if you're going to be using it for extended periods of time. At least until we can give you a proper verdict on the Pixel 3. There's little to distinguish between the phones in this regard, as both phones run Android Pie. Android Pie was designed to streamline users' experience. It uses machine learning to carry out many important functions, and introduced user gestures to speed up navigation. While both the Pixel 2 and Pixel 3 run it, the Pixel 3 will receive its key features and updates for it before the Pixel 2. Google Assistant is getting an upgrade too for the Pixel 3, with new features including being able to book restaurant tables or even the ability for the phone to answer itself with automated messages if you can't. This latter feature, Google Duplex, is an example of a feature that the Pixel 3 will come with that'll roll out to Pixel 2 devices over time. Google is very proud of the Pixel 3's camera, judging by the amount of time it spent discussing it during the Pixel 3 announcement. Not only is there a 12.2-megapixel camera on the back but there's also dual 8-megapixel f/1.8 snapper on the front with a super-wide f/2.2 lens lens for a new “Group Selfie Mode”. Google's integrated AI helps improve the Pixel 3 camera with a slew of new features. First off there's Top Shot, which takes multiple pictures – including from before you press the shutter – and recommends the best to you; Night Sight which automatically improves low-light pictures via machine learning for best-in-class low-light photos; Motion Auto Focus,allowing you to remain focused on an object or person even when in motion, and Super Res Zoom, which takes multiple pictures and combines them to create great zoomed-in pictures. Alongside all of this, you'll also get post-processing tools to adjust focal distance, focal points and even to add and remove bokeh effects. In comparison, the Pixel 2 came with a 12.2-megapixel camera armed with Google's smart HDR+,which made for particularly great low-light shots and maintained a perfect colour saturation. The device also introduced features like “Motion Photo” which took video at the same time as a still picture, and “2Portrait” which introduced bokeh to the smartphone camera world. We did feel, however, that colour saturation in video mode was a bit eclectic. For photography enthusiasts, the Pixel 3 is undeniably the way to go. The plethora of AI-based features makes it great as a camera both for social occasions and serious photography. The Pixel 3 certainly does improve on a lot of the features that made the Pixel 2 great to begin with. Its camera and the AI that drives it is a technological marvel. In fact, the sheer number of features it has elevates it beyond any of its competitors, including the Pixel 2. However, this comes with downsides. The lower battery life and higher price make it a lot less appealing for people who won't make the most of the new technology it brings to the table. If you think you'll use all the features that the Pixel 3 has, like its camera functions and AI-driven tools then it's definitely worth getting. However, since many of its less-demanding software features will roll out to the Pixel 2 eventually (such as Google Duplex for automated phone responses), you certainly wouldn't be settling to stick to a Pixel 2.